Pat debuts new work titled Living Drawings. 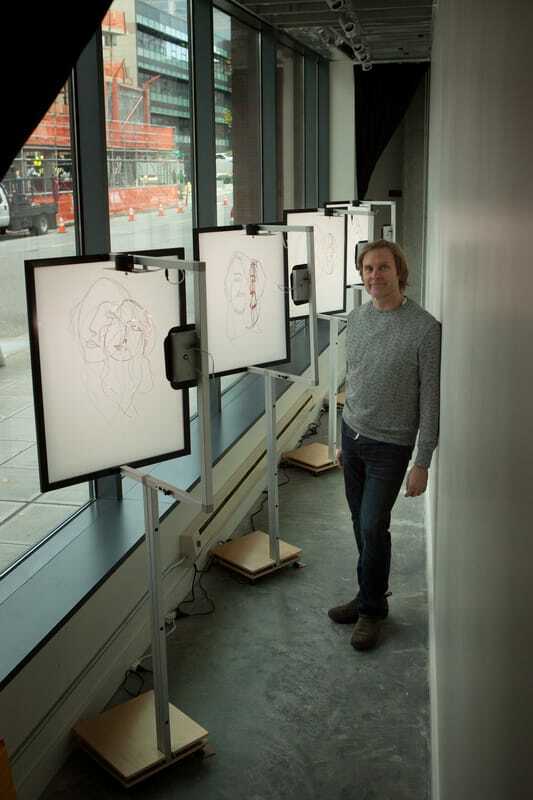 ​This Living Drawings kinetic installation projects the shadows of slowly rotating wire portrait sculptures onto back-lit paper screens, creating the effect of bringing line drawings to life. ​Pat has a sculpture in the COCA 35 year anniversary show in Pioneer Square. Opening is first Thursday 3/3. Regular hours are Fri + Sat 1-7pm.